Let's Celebrate High, Low, and No Tech! It's time to CELEBRATE This Week with Ruth Ayres from Discover. Play. Build. Every week Ruth invites us to share our celebrations from the week and link up at her blog. What a fun way to reflect on everything there is to be thankful for. This week I'm celebrating high, low, and no tech! By the time I get to the end of the week lately, I'm completely wiped out. There is a lot going on in my life right now. A lot of great things, a lot of challenging things, a lot of inspiring things...but overall, a lot of things. I find myself celebrating little things everyday to get through the week and I truly love that Ruth has brought so many of us together to celebrate the week. Yesterday, I spent the day with Peanut at the hospital...don't worry! He's fine! It was a completely simple, in and out procedure. He had a calcium deposit on his scalp right near his hairline that needed to be removed. It's all over now but it's always stressful to know your baby has to be in the hospital for anything. Hooray for high tech! As I sat with Peanut, talking to him before they took him into the operating room, he looked around and pointed out gadgets on the walls that he wanted to know about. I tried my best to answer all of his questions but eventually we started asking the nurses because I wasn't sure how to explain everything. On Thursday, I had booktalked How They Croaked by Georgia Bragg to some instructional coaches. I shared that some of the stories tell of how famous people died of simple things that modern medicine can manage but that they didn't know about or didn't know how to diagnose or cure back then. I'm celebrating all the high tech hospital stuff today because it's amazing what it can do and how it helps people every day. Hooray for low tech! A few people knew Peanut was having surgery yesterday and had checked in with me through texts. Then my husband posted pictures on Facebook and suddenly all sorts of people were Facebook messaging and texting to make sure he was okay. It was nice to know that everyone was wishing us well and thinking about us. Throughout the week, I'm constantly texting and tweeting. Being able to stay connected to family and friends this way helps me manage all the challenges of the week while also celebrating the highlights. It was great to be connected yesterday when Peanut was in the hospital but I feel have to celebrate the fact that I am connected to friends and family everyday. Hooray for no tech! 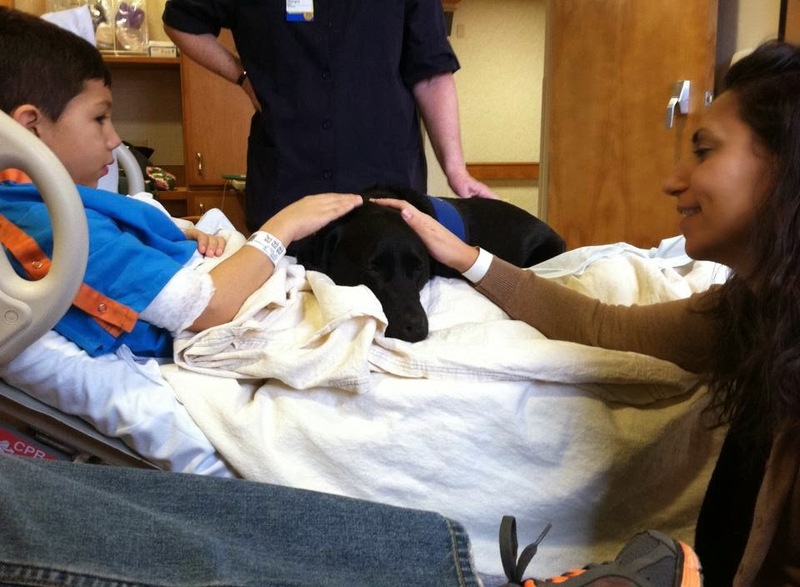 While we waited for Peanut to be discharged from the hospital, a woman showed up with a sweet, black lab. She asked if they could come in and visit and we were so excited to invite them in. They laid a clean sheet on top of Peanut and his blankets and she hopped up on the bed to lay with him. Her name was Teagan and she was three years old. It was amazing how well behaved she was. She rested her head right on Peanut's legs and he pet her the whole time she was there. It was sweet how relaxed she was. The woman explained how Teagan is very calm when she's in the hospital but playful and energetic at home. 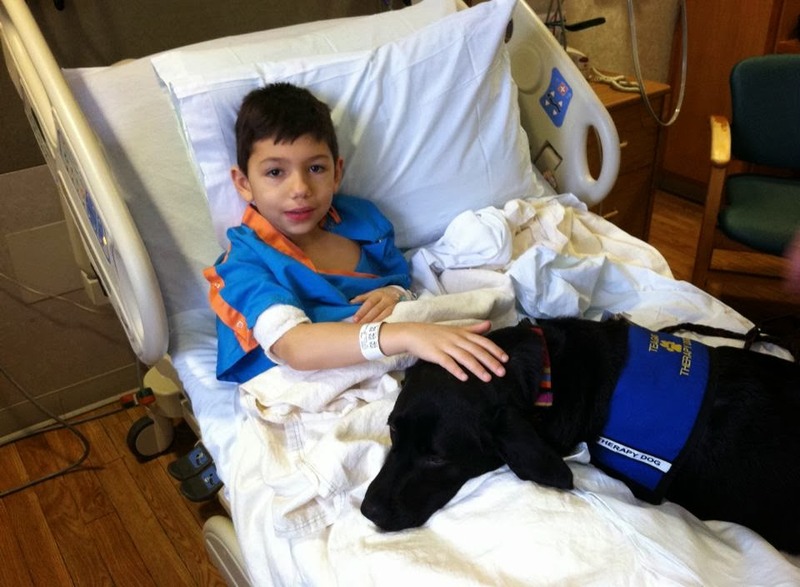 It's common for therapy dogs to get stressed out from visiting with people who are sick or dealing with trauma. Dogs are so loyal and give their love completely. After she hopped down from the bed, I walked over to give her a good pet and a hug and to thank her as much as I could. I've only had to be in the hospital a few times with my kids but it's definitely not fun. I end up being the strong one - talking to doctors and nurses, checking in with my kids, talking them through what is going to happen, holding them through x-rays or IVs. Every time, after it's all done and we're home, it's inevitable that I'll suddenly be overcome with all the emotions I (somehow) held in check. As I looked into sweet Teagan's eyes, I told her she was a good girl, hoping she would know she was appreciated and it brought me to tears. It was like she was there for me as much as for Peanut. Today I'm celebrating the marvels of high tech and low tech but also the beauty of no tech. I'm so glad that we have technology to help us stay connected but this week I'm also so thankful for real-life, no-tech time with family and friends and a sweet dog named Teagan. What are you celebrating this week? Do you have any high, lo or no tech celebrations to share? 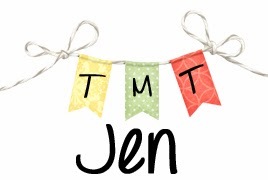 JOIN: Celebrating My Eight Year Blogiversary! Go, Picture Book, It's Your Special Month! I Am A Teacher Who Writes. Let's Celebrate Some Small Things! Let's Celebrate 2013 and 2014 Challenges! Cybils Book Apps Short List 2013! My 2014 Bookish Un-Boring List Reveal!